Latest Page Updates: Conferences, Minutes, Employment! The Maryland Ready-Mix Concrete Association (MRMCA) held the 19th Annual Concrete Conference on March 12, 2019 in Cockeysville, MD. This event covered concrete paving, best practices, and case studies where concrete was used to improve project outcomes. Several CEAM members were in attendance at this conference. CEAM Member Glen Hebel of Harford County presented about the use of shotcrete for pipe rehabilitation in Harford County DPW. Contact MRCMA Executive Director Tom Evans for more information about MRMCA. 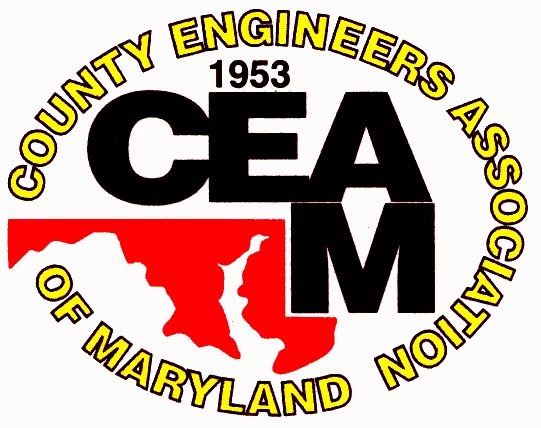 CEAM recently received a copy of the minutes from the first-ever meeting of the County Engineers Association of Maryland. This meeting was held on October 29, 1953 at the Francis Scott Key Hotel in Frederick, MD. Please take some time to review the minutes as they describe the creation of our beloved organization and also list the original membership. CEAM would like to thank Past President W. Stephen Young for providing these minutes to the CEAM Administrator to be shared with the general membership. 2019 2nd Dues Notices have been mailed. Your address has recently changed and you think your notice may have gone to your old employer. You paid online but did not receive a receipt. You want to verify the status of your payment. Contact Education Committee Chairman Jeremy Cooper to learn how you can participate on the Education Committee. Liaisons are being sought from each County to learn how CEAM can provide training & educational opportunities to assist our membership. Contact Jeremy Cooper today to learn more! Employment Page - Check it out here!